Soini ("Al") Hall was born on March 27, 1919 in New Jersey to the parents, Gunnar and Lempi Hall. As Finnish immigrants, both Gunnar and Lempi were seeking a better life in America to start a family. During a period of eight years the couple welcomed their first son, Harry, and four years later Soini A. Hall was born in Jersey City, New Jersey. In 1922, Soini, brother Harry, and Lempi traveled to Helsingfors, Finland via passenger ship to visit Lempi’s mother, while father Gunnar remained in the states. Not yet a United States citizen, Lempi applied for citizenship while in Finland. Ultimately, Lempi’s citizenship was granted on May 5, 1922, when Soini was three years old, thus Lempi, Soini, and Harry returned to the United States as citizens on May 30, 1922. Soini eventually relocated to Alameda, California where he held the occupation as a porter. Unmarried and without children, Hall was drafted eight months following the attack on Pearl Harbor in Hawaii. He joined the U.S. Army in San Francisco, California, on August 20, 1942. Standing at six feet tall, 146 pounds, Soini Hall was twenty-three years old when he volunteered for the paratroopers in the 506th Parachute Infantry Regiment, 101st Airborne Division. Soini Hall lived in Alameda, California, before joining the U.S. Army in nearby San Francisco. According to the 1940 census, Alameda had a population of 63,855. The population steadily increased for a number of decades, however, the 1930 census shows the largest population growth most likely due to jobs available in the nearby city of San Francisco. As the area established itself, Alameda played many roles including that of a small and industrious town. During the industrious era of the town, Alameda was home to the Borax Soap Company, Pacific and Standard Oil, and the original end for the Central Pacific Railroad. During the 1940s Alameda changed paths and became the location of the Benton Field Army Base and the Alameda Naval Air Station. With the construction of the bases the area for support during World War II, the area’s population exploded. Feeling the presence of the Japanese, California, located dangerously on the coast closest to Japan, was eager to make a positive difference in the war effort. As people poured into the developing state, the population soured and California factories began hiring people from all different ethnic cultures and backgrounds. California was largely responsible for the production of food for the war effort. Moreover, California served as a training ground for many troops because of the varying types of terrain, including beaches, mountains, and deserts. Soldiers were taught to fly in the vast sky encasing the massive state. Dabbling in many aspects of the war effort California industriously produced more planes than any other states and produced weapons for the country. On August 20, 1942, Soini “Hawk” Hall entered the U.S. Army in the hope of securing freedom for his country and the war torn countries of Europe. Enlisting from San Francisco, California, after basic training, Hall joined the 506th Parachute Infantry Regiment, 101st Airborne Division. Hall proved his skills in basic training camp and was later accepted into the newly created experimental division. Only the best could volunteer for this division. The 101st Airborne Division was activated at Camp Claiborne, Louisiana, on August 16, 1942 four days before Hall entered the service. Lieutenant Colonel Robert F. Sink activated Hall’s particular regiment, the 506th Parachute Infantry Regiment on July 20, 1942. The regiment trained at Camp Toccoa, Georgia, near Currahee Mountain. The regiment relocated to Fort Benning, Georgia, in November 1942. Hall most likely caught up with the regiment at Fort Benning. At Fort Benning the men were taught to properly prepare gear and once deemed ready the group was moved to Camp Mackall, North Carolina, to practice jumps. The regiment continued to Tennessee and Fort Bragg, North Carolina. Here at Ford Bragg he met Carol Thomas. The two fell in love, but never married. Over a year following Hall’s enlistment, the 506th Parachute Infantry Regiment shipped across the Atlantic, arriving in England September 15, 1943. Once abroad, the men waited and trained in preparation for their first combat mission. Shortly before D-Day Major General William C. Lee, commander of the 101st Airborne Division suffered a heart attack, leading to Major General Maxwell Taylor’s promotion and command of the 101st Airborne Division. 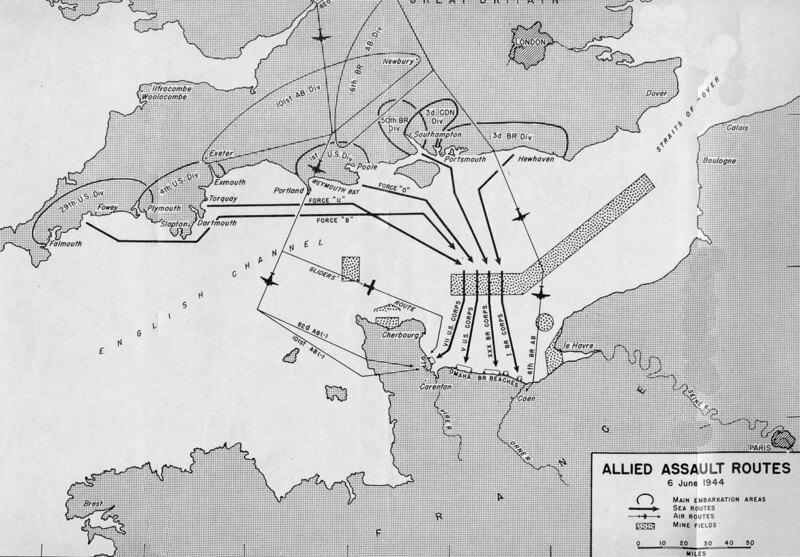 The division left its training zones in May 1944 for D-Day staging. 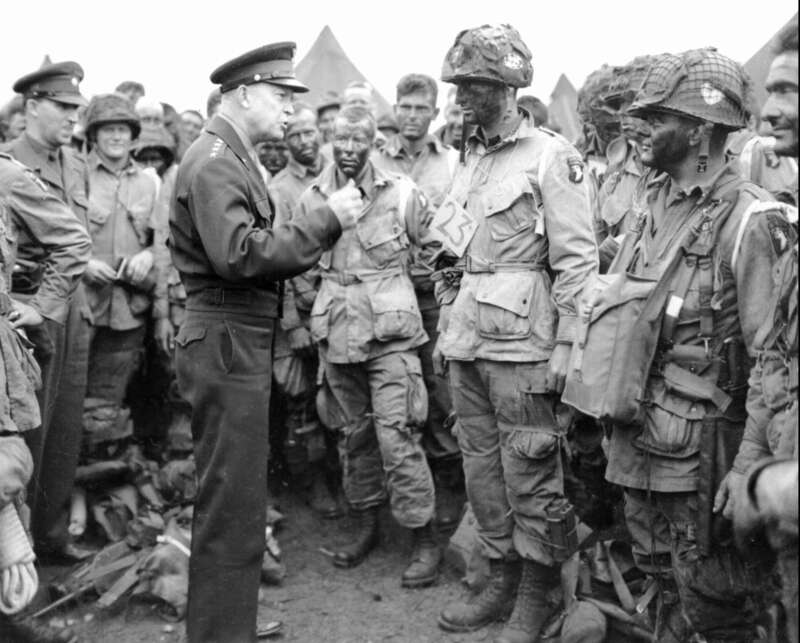 On June 5, 1944, General Dwight D. Eisenhower visited the 101st Airborne Division to boost morale. The 6,600 paratroopers of the 101st Airborne Division left England before noon on June 5, 1944, aboard C-47 troop carriers to be transported behind Utah Beach. The division dropped behind enemy lines to block reinforcements from entering Utah Beach by capturing four causeways, seizing several gun positions, and disrupting enemy movement before H-Hour (6:30 a.m.) Hall’s battalion’s objective was to secure two wooden bridges over the Carentan canal. Due to capture, injuries, or death, approximately 5,100 paratroopers made it to the ground and were able to conduct their mission. Cloudy conditions in the early hours of June 6 proved difficult to locate the designated drop zones and much equipment was lost. Paratroopers landed as far as 20 miles from three theoretical drop zones. However, the small number of men who successfully landed in the designated drop zones were under heavy enemy fire. Hall was ultimately killed from artillery shell fragments. Soldiers who survived the landing grouped together to accomplish the objective of capturing their designated causeway. After Hall’s death, the 101st Airborne Division linked forces with the soldiers who landed on Omaha Beach through the town of Carentan on June 11, 1944. Following the battle of Normandy, the 101st Airborne Division participated in Operation Market-Garden (Holland) and the siege of Bastogne. Hall served in the U.S. Army for two years before honorably dying in combat on D-Day, June 6, 1944, earning a Purple Heart. His father Gunnar A. Hall decided to have his son buried in Normandy, France. 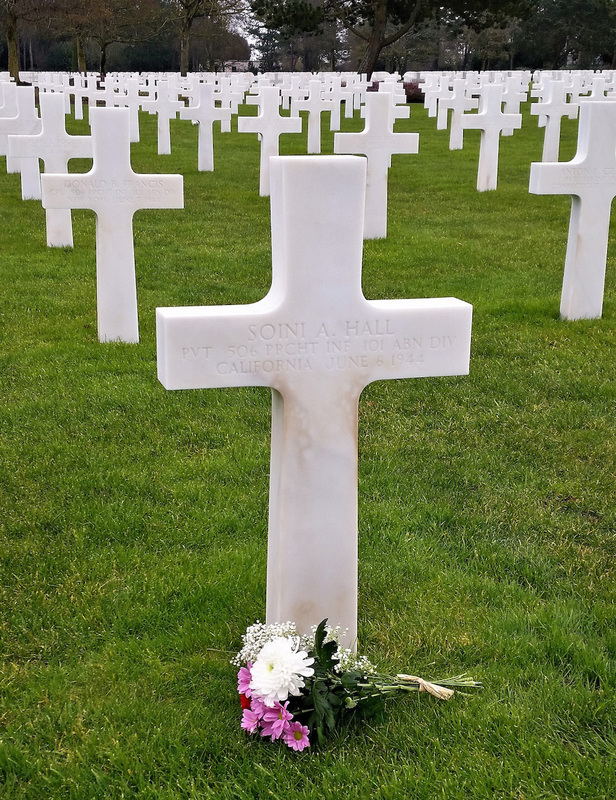 Hall was buried at Plot E, Row 18, Grave 18, Normandy American Cemetery, Colleville-sur-Mer, France alongside his comrades. As Martin Luther King, Jr. once voiced, “A man who won’t die for something is not fit to live.” Soini Hall sacrificed everything for future generations and for the love of a country he would never return to. Although I never met Soini, I know his love is an inspiration to all, for his love is illustrated in his sacrifice for freedom, fighting for those who could not. Born in March 27, 1919, in New Jersey, Soini lived a normal childhood, playing games and learning to be a good boy and a just man. Before volunteering for the 506th Parachute Infantry Regiment, 101st Airborne Division on August 20, 1942, he moved across the country to Alameda, California, attended a year of college, and worked as a porter. His college attendance highlights his perseverance and passion. Soini’s strength and courage was tested as he faced life away from loved ones in an unfamiliar land. Soini’s parents, Gunner and Lempi Hall, must have been filled with pride and fear upon their son’s enlistment for World War II. Being a mere 23 years old, Soini was unmarried and never had the chance to raise children to be as honorable as himself. He fought in France on D-Day and died alongside his brothers experimenting with a new military tactic: parachuting into battle. I could not imagine jumping from an airplane at night, only to land and rush into battle as if the adrenaline from the initial jump was irrelevant. His passionate and courageous personality will be missed by all who he touched. Pride and sadness will forever fill the lives of those he influenced, however, Soini will always be a hero and an inspiration. We must look ahead to all the ways in which he contributed to the Allied victory, and to the lives he changed by volunteering to be a paratrooper. Hero. Four letters that signify strength, courage, and love. As a child a hero - to me - was always the protagonist in a movie where success seemed impossible. Now, a hero can be anyone who unites to a just cause and plays their part in the greater good of humanity. The Silent Heroes project has changed my perspective of a true hero. Soini Hall was a true hero, rather than finishing college and starting a family, Hall complied with the draft and unknowingly risked his future for the lives of others. As I uncovered more information regarding Soini’s life I soon realized he was a determined young individual trying to find his place in a country struggling to maintain its own path of independence. When I learned of Soini’s success in training camp and qualification to join an experimental group testing parachuting into battle, I became more convinced of Soini’s bravery, leading me to uncover the true meaning of patriotism. Soini’s story is a reminder to me to be grateful for the freedom all soldiers have fought to maintain and the blessings freedom has given me. Without the Silent Heroes project I never would have found such interest in delving into the past and uncovering a story that was lost with time. All soldiers deserve their story told, for a history book may only mention the generals and the presidents. Without the individual soldier, the democracy we have today could never be maintained. We must remember those who have fallen and support the ones who managed to make it home once more. Soini’s tale is my reminder that “a hero is someone who has given his or her life to something bigger than oneself.” - Joseph Campbell. Thank you, Soini Hall, for opening my eyes to what it means to be a true hero. Databases at https://aad.archives.gov/aad/, 11 January 2017]. Soini Hall. 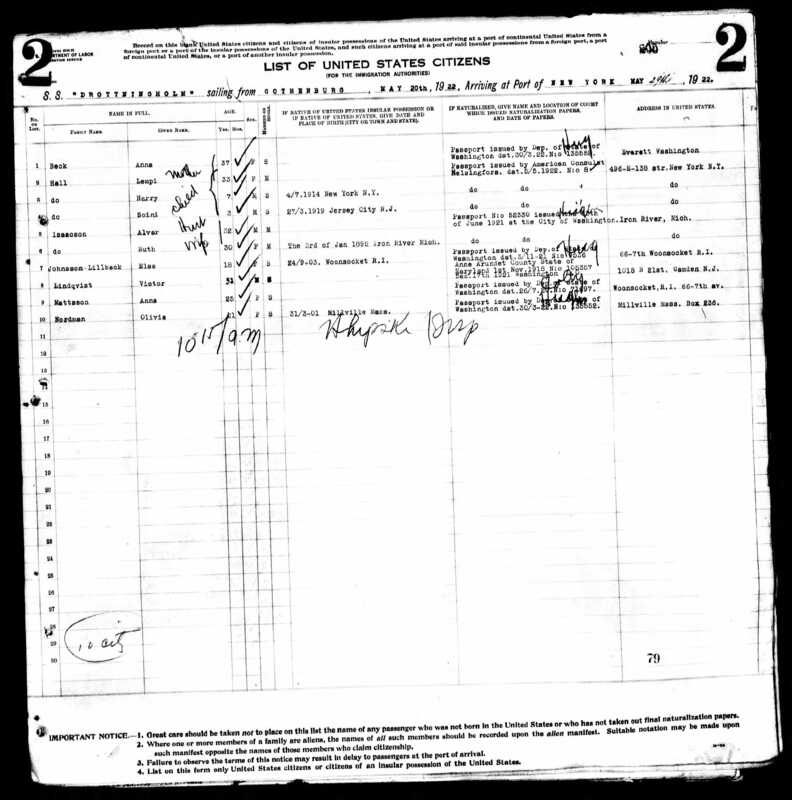 U.S., Headstone and Interment Records for U.S. Military Cemeteries on Foreign Soil, 1942-1949 [database on-line]. Provo, UT, USA: Ancestry.com Operations, Inc., 2014. History.com Staff. "D-Day." History.com. A&E Television Networks, 2009. Web. 05 May 2017. .